The newly discovered final novel by seminal Harlem Renaissance writer Claude McKay, a portrayal of life in 1930s Harlem and a historical protest for black freedom. This debate about the value of communist internationalism over black nationalism is at the core of Amiable With Big Teeth. Written at a time when most scholars thought that black cultural production had come to a grinding halt as a result of the Great Depression (and the consequent dip in arts patronage), Amiable With Big Teeth provides unparalleled insight into this relatively understudied moment in black American history ... As a creative work and a historical document, Amiable With Big Teeth is nothing short of a master key into a world where the intersection of race and global revolutionary politics plays out in the lives of characters who are as dynamic and fully realized as the novel itself. The story offers a front-row seat to the polemics that drove (and stymied) black radical organizing in the 1930s ... for today’s audience, McKay’s last novel should make for fascinating and timely reading as Americans enter an era in which solidarity-building across racial identities and national borders feels more necessary, and perhaps more difficult to achieve, than ever. Amiable With Big Teeth, lives up to McKay's reputation. The book satirizes life in Harlem during the 1935 Italian invasion of Ethiopia, when 'Aframericans' (the Jamaica-born author's term) rose up in support of Ethiopians. He was taking aim at the white communists who tried to infiltrate pro-Ethiopia groups to win support for their cause, manipulating the 'poor black sheep of Harlem' without caring about their problems. Socialites, intellectuals and hucksters debate the conflict abroad from the parlors and churches of Harlem, while communists picket to 'Make Harlem safe for Soviet Russia.' McKay mocks both sides, but he knows the stakes: 'If a native state can maintain its existence in Africa and hold its head up among the white nations,' one character says, 'it adds to the self-respect of the colored Americans' ... The story could have used tightening, but it's a shame for McKay's contemporaries that it was passed over. For us, it's a lucky treat. 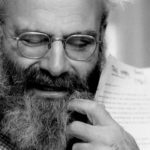 That doesn’t mean Amiable is a good novel; it’s not. Set in Harlem during the aftermath of Italy’s 1935 invasion of Ethiopia, it’s primarily interesting for sociological rather than aesthetic reasons ... a book with many clunky and protracted political discussions ... Even Maxim’s abstractions go down easier than the novel’s purple prose...McKay is at his best in capturing the appeal of his Popular Front ideology, for reasons having little to do with Maxim himself. 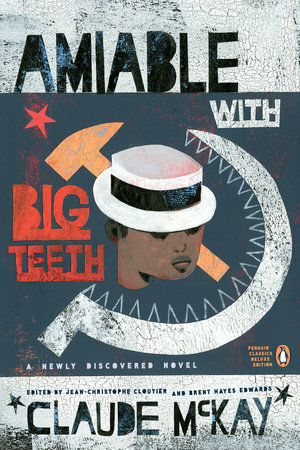 What did you think of Amiable With Big Teeth?